Sisters Naina and Nisha (middle) with mother Dr. Rajendra Sharma and father Tej Ram. 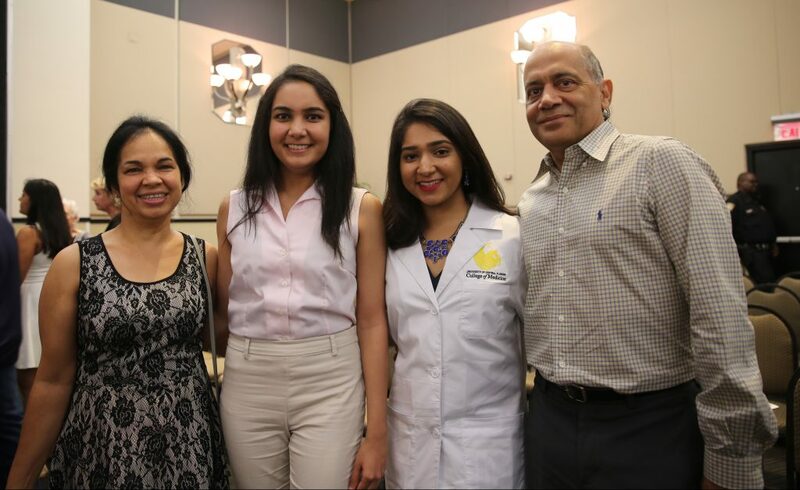 Naina will be spending much of the next two years of medical school in clerkships rotations at hospitals and clinics. So she won’t see much of her sister at school. But she is looking forward to sharing med school adventures over dinner with the sibling who is now her new roommate.